Published on December 27, 2011 in Australia's noisiest bloggers, Blogging Ideas, Blogging Tips, Case Studies and Cool Websites and Blogs. 0 Comments Tags: Best Blog Post 2011, Top 10 2011, Top 10 Posts. There are a lot of blogs out there that publish so much bland content that it’s refreshing to come across a collection of blogs that are interesting and intriguing. 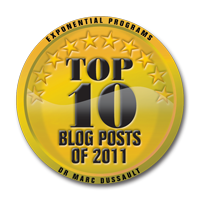 Today’s post is a list of the Top 10 Blog Posts of 2011 published by The Exponential Growth Strategist, Dr Marc Dussault. Listed in no particular order since each one has its own merit based on who you are and what your area of improvement (focus) is, this short list of the best blog posts of the year will inspire you to get started on your New Year’s Resolutions for 2012 right away! Don’t forget 2012 is a leap year, that means you have an extra 24 hours to realise your dream(s)! 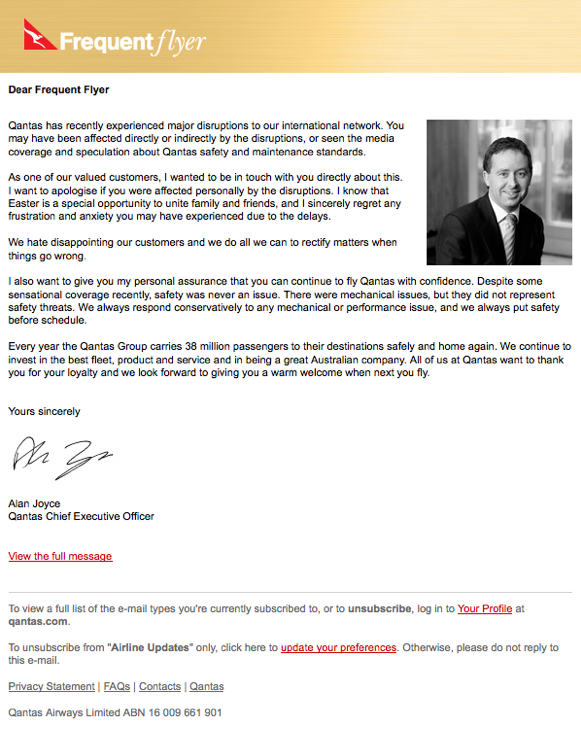 Published on April 16, 2010 in Australia's noisiest bloggers, Case Studies and News. 2 Comments Tags: Complaints About Water, David Conroy, Desalination, Plumber Blogger, Sydney Water, Water Taste. If you have any doubts people are reading you blog, today’s post should remove any doubt about the value of blogging about anything and everything that is relevant to your audience of suspects, prospects and clients. David Conroy of The Lone Drainer And Pronto, Sydney’s Premier Plumber in the Eastern suburbs has been blogging for about a year, he might not consider himself a blogging expert, but y’know what? David has mastered the art of blogging. David’s got contributors to his blog from 6 countries with regular readers from more than a dozen countries… One of his recent blog posts about Sydney’s Desalination caught the attention of a journalist for Channel Nine who contacted him and interviewed him for a TV segment that aired last night. CLICK the hyperlink to watch the interview about the complaints about Sydney’s desalinated water. If you’re not getting results like these, you should consider learning how to blog like an expert. Following on from the Google war on pagerank, this SearchEngineJournal post got my attention. I don’t get out much and had never heard of Widgetbucks - so I thougt I’d give it a try – see the new widget in the right-hand sidebar. I’ll post our findings in the next few weeks. My blog’s cr&p – get into it! 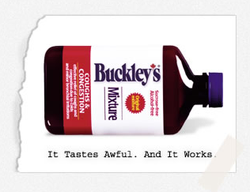 Here’s an interesting case study of a brand that isn’t quite using reverse psychology but is more akin to highlighting their weaknesses (and in doing so, demonstrating their strengths). ‘Telling the truth’ sets the framework for the customer relationship that is based around honesty and trust. Isn’t this what your blog is trying to achieve? You have a new idea or product or service. It’s cool but in its early form – a little edgy and raw. If you can’t be all things to all people, road test the idea with a few trusted friends. Cut it down to its raw elements and put it to them for comment. Put a little spin on it to initiate eyeball engagement. Think of it this way: if your product was a book, what would the cover/title/book need to look like so that the potential reader grabs it off the shelf. Whether he/she ends up buying it will depend on the merits of the transaction – does the book give the reader what he/she needs/wants, but the point is you need to gather the audience before you can even start that spiel. Whether or not the new idea meets their needs will depend on how well we do our job in structuring our offering + whether they actually need what we offer….but last things first – let’s make them grab this little idea off the shelf for a closer look. I’ve been avoiding the Facebook and MySpace crowd since its inception – I didn’t want to be the thirty-something, dirty old man on the barstool of a teenie/twenty-sonething nightclub. However, about the time of the relaunch of AustralianBlogs (or thereabouts) Simone sent me a LinkedIn invitation. I must have signed up a little while ago as it’s fallen by the wayside like my hotmail account. So I gave i a whirl – accepted Simone’s kind invitation to link up and dusted off the resume. This time around, I pasted a link on this blog (as you can see on the top right-hand corner). It’s terribly uncool to the digerati, I’m sure. LinkedIn’s up there with Amazon, eBay and Yahoo as the giants of the first go-around of the internet boom. Overall, I’ve added 30-odd friends (real friends) and a couple of acquaintances from the blog world. Not bad. The greatest tangible benefit has really been hooking up with long-lost friends but I guess it’s been some help with any interested surfers looking to get involved with AustralianBlogs. 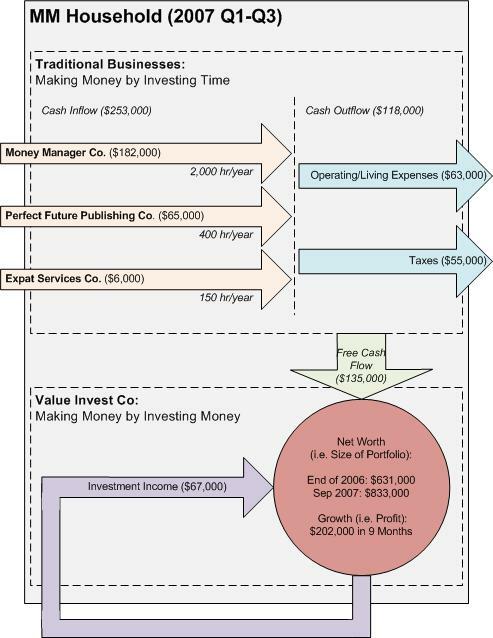 This is a great post – I love the distinction between ‘Making money by investing time’ and ‘Making money by investing money’. When we came up with the idea of blogging our attempts to raise some money for my boy’s childcare centre playground refurb, we thought it would be a laugh to see if we could come up with some unconventional marketing campaigns to flog what is well-worn fundraising stock (ie. the humble Freddo and his mate the koala). How does this little exercise relate to blogging? Is your blog like a box of Freddos? Is it a commodity or is there a high degree of differentiation compared to other blogs (or even other media?) Do you know if your readers are coming just for the content or the interaction? Do they see your blog as a means to pass the day or something they draw information for practical application? Based on this, how do you package your product? Do you dress it up with witty commentary, or do you focus on newsreader-like dissemination of the facts? Answer these questions (as a start) and you will find that you’re on your way to building a group of sticky clientele that will keep on buying your virtual Freddos. Marketing Challenge no.1: Results (Day 7) BANNED! !